As servants of Christ, we must be able to present the true Gospel of Christ the Messiah, directly and correctly. It is only through the Spirit of truth that Yahshua gives unto his chosen ones, that we are able to step out of darkness into His marvelous light unto everlasting life (1 Peter 2:25; John 8:12; John 4:23). For there will arise a false Christ as well as a false prophet as well that shall show great signs and wonders to the extent that if it were possible, the very elect would be deceived (Matt 24:24). Yahshua is the Shepherd and overseer of our Souls, and those who have a personal Spiritual relationship with the Creator, are able to obtain the knowledge of the truth that sets them free. 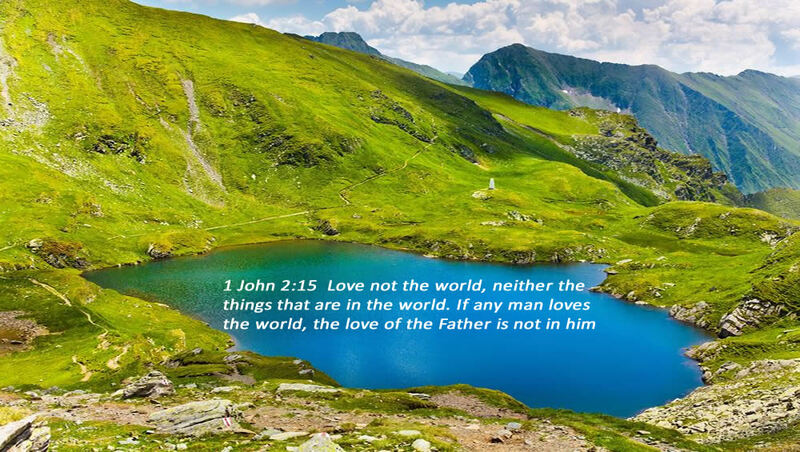 The servants of Christ who are called by His Spirit to preach the Good News of the Gospel can indeed correctly understand and elaborate on the Word of God so that its true intent becomes clearer, and not more confusing (1 Peter 2:25; John 8:12; John 4:23). When we hear the Words of our Lord, and they become implanted in our minds for the first time, the process of transformation from darkness unto light begins. Our faith in Christ, which is one of the fruits of the Spirit, is also an incredibly important shield that protects us from all evil (Gal 5:22, Eph 6:13-16). When the Spirit of Truth which proceeds from Christ dwells in us, we can then begin to believe and understand the Gospel message. The truths contained in the Word of God are Spiritually discerned. They are revealed to the servants of Christ by His Spirit, enabling them to hear, understand and obey His teachings (Heb 5:9; 2 Thes 1:5-8). Many claim to have faith, but a worldly faith can easily be shattered if it is based upon the carnal doctrines of men. Through the Baptism of the Holy Spirit, we are Sealed and protected by the power of Yahshua unto an enduring and unwavering faith; the end result of which is the Salvation of our Souls (1 Peter 1:9). It is indeed a tragedy to believe that you are Born Again, without ever experiencing the true indwelling of the Holy Spirit, which is the evidence of this transformation process. This lie is an empty promise that leads to death and destruction, as the ability to truly understand Yahshua and the New Covenant Gospel is impossible without His Spirit (John 14:17-26; 15:26; 16:13; Eph 1:13). Being born again and receiving the Baptism of the Holy Spirit are one in the same. Unless a man is born of water and of the Spirit, he can not enter into the Kingdom of God (John 3:3-8). To be Sealed by Christ is to have a full assurance of the hope of Salvation. We can be certain of our power, purpose, and place with our Savior and Lord (2 Cor 4:13; Heb 10:22; 1 John 5:4). All of the true servants of Christ who are Sealed with the Holy Spirit of promise have the new covenant of Christ written in their hearts and minds. The gospel of Christ is the power of God unto our Salvation (Rom 1:16, Heb 8:10-13, Eph 1:13). Yahshua has redeemed us from the curse of the law, and we patiently wait for the redemption of our earthly bodies at the last trump (Gal 3:13, Rom 8:23, 1 Cor 15:52). When His Spirit dwells in us, we are also in Him, and the promise of Salvation and eternal life is established and certain (John 15:1-15; 1 John 4:6-13). The infilling of the believer with the Spirit of God is the down payment, or earnest, that Christ gives unto His chosen, that He has purchased with His shed blood on the cross (Eph 1:14). We can receive the Word of God, as He knocks and asks to come into our life. We can also close the door and wander around aimlessly. Yahshua the Messiah is the Word of God; the words that He speaks are unto everlasting life. When we allow the Word to enter in, it becomes alive in us and changes our very being (Eph 1:3-18; Rom 8:35-39; John 6:63; John 15:7, Acts 17:28). The sword of the Spirit, which is the Word of God, is not only an essential part of our defensive armor but an effective offensive weapon as well. All those in Christ war against spiritual wickedness in high places (Heb 4:12; Eph 6:12). The word transformed actually means metamorphosis, and the word picture here is one of a new life wherein we are transformed into a beautiful new creation. We that once served the lusts of the flesh, become born-again to serve in newness of Spirit (Rom 7:6). Those who preach the good news which is the gospel of the hope of Salvation are called or compelled to do so through the Holy Spirit. To whom much is given much is expected, and it is a grave error to keep the implanted word to one’s self (Luke 12:48). The servants of Christ do not require any type of teaching certificate, or accreditation from any man-made institution, seminary or the like. Also, the true servants of Christ do not follow the traditions and commandments of men. Their teacher is and always will be the Holy Spirit, which Christ the Savior graciously bestowed upon them who have submitted to His Lordship. The servants of Christ will always give Yahshua all of the glory for what He has revealed to them. Through the power of the Holy Spirit, they are able to easily uncover and expose profane and vain babblings that are ungodly (2 Tim 2:16). More often than naught those who rightly divide the word of God are hated by those who are unable to discern the Gospel truths. Most preachers would say that they deserve a double honor that is monetary in nature, and payable in part to them for their works. However, those who are called to be the servants of Yahshua have the reward of living by the very Word of the gospel that they preach (1 Tim 5:17). The honor is to live by the gospel, and in no way does it refer to a monetary reward (1 Cor 9:14; 1 Cor 12: 23; 1 Tim 1:17; 1 Peter 1:7). The rewards that the servants of Christ desire are Spiritual in nature (Matt 5:12; Matt 6:1; Rev 11:18, 22:12). Romans 16:17-18 Now I beseech you, brethren, mark them which cause divisions and offences contrary to the doctrine which ye have learned; and avoid them. For they that are such serve not our Lord Yahshua the Messiah, but their own belly; and by good words and fair speeches deceive the hearts of the simple. A great battle is coming that will separate the wheat or true Children of God, from the tares or those that are deceived. The commencement of this war is imminent, and those who are not in darkness see the evidence of the soon approaching three and a half year great tribulation. Luke 21:26-28 Men’s hearts failing them for fear, and for looking after those things which are coming on the earth: for the powers of heaven shall be shaken. And then shall they see the Son of man coming in a cloud with power and great glory. 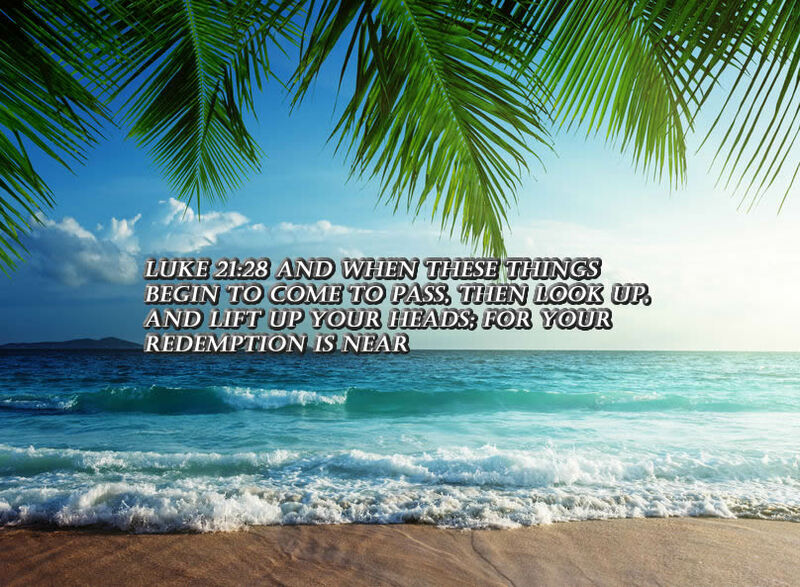 And when these things begin to come to pass, then look up, and lift up your heads; for your redemption (or Salvation) draweth nigh. The servants of Christ are joyful in their Lord, and yet they are brokenhearted, as they observe the devastation that unfolds as a result of the deceptive teachings adhered to by so many. 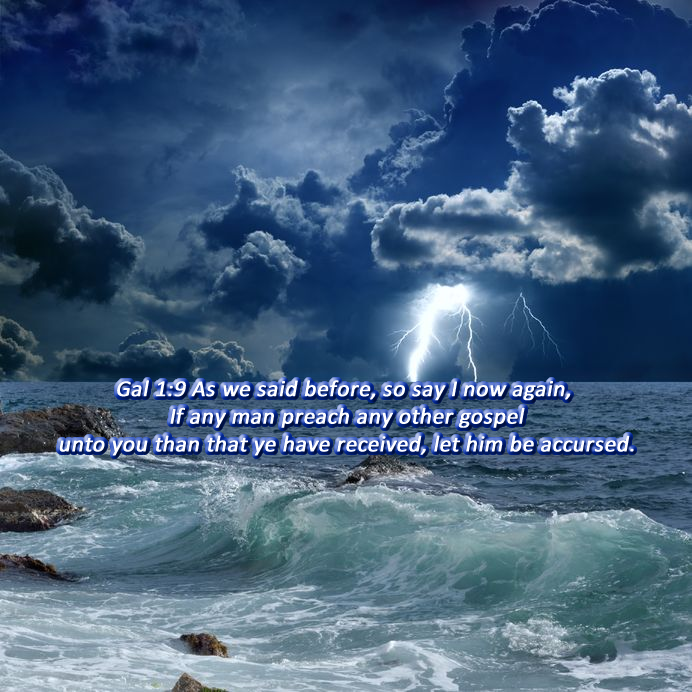 The Spiritually discerned Gospel truth that is destined to be revealed exposes the deceitfulness of riches and the lusts of the flesh that separate mankind from God. The distortions, grievous offenses and utter lies that are accepted as doctrine today, establish clearly the lateness of the hour. It is like a blanket of darkness that has almost completely smothered out the light of the true Word of God. The Pre Tribulation Rapture escape plan that will not come to fruition will cause a great falling away. Those who have established their faith upon the commandments and doctrines of men shall not endure spiritually when persecution cometh (Mat 13:21). A terrible crime is committed through the doctrines of wolves in sheep’s clothing that lead many astray. The false teaching regarding Salvation is a destructive doctrine preached to and accepted by those whose faith is established by the dictates of teachers who are devoid of the Spirit of truth. Salvation is impossible to obtain until the second advent of Christ, it is also impossible to be saved without the Baptism of the Holy Spirit, as this is what transpires when we are Born-again. The Christian Salvation deception is a destructive and deadly doctrine, preached to and believed by the majority within the religion of Christianity. Not only is Salvation impossible to obtain before Christ returns with our Salvation, it is also impossible to be Saved without the Baptism of the Holy Spirit. John 3:3 Yahshua answered and said unto him,Verily, verily, I say unto thee, Except a man be born again, he cannot see the kingdom of God. The Word of God clearly establishes the timing of when our Salvation will occur. The servants of Christ who faithfully endure until the end will be Saved (Math 24:13). John baptized with water but he spoke of Christ who would baptize with the Holy Spirit, which is a necessary part of the Salvation process. Hebrews 9:28 So Jesus Christ was once offered to bear the sins of many; and unto them that look for him shall he appear the second time without sin unto (or with) salvation. Without the indwelling of the Holy Spirit it impossible to know the word, become the Israel of God, have true faith, or ever obtain Salvation. Romans 8:7-9 Because the carnal mind is enmity against God: for it is not subject to the law of God, neither indeed can be. So then they that are in the flesh cannot please God. But ye are not in the flesh, but in the Spirit, if so be that the Spirit of God dwell in you. Now if any man have not the Spirit of Christ, he is none of his. The servants of Christ travel the narrow path that is illuminated by the Spirit of God that dwells within them (John 8:12, 1 Cor 2:11-16). The true hope for the servants of Yahshua is the knowledge that the promise of their Salvation will be revealed at His second advent, and this enables them to endure all things for His name’s sake (John 6:54, 11:24). 1 Thes 5:8 But let us, who are of the day, be sober, putting on the breastplate of faith and love; and for an helmet, the hope of salvation. The apostle Paul’s preaching was not with enticing words based on his own wisdom, but it was a demonstration of the incredible power of the Holy Spirit. Our faith should not stand in the wisdom of men, but in the power of God (1 Cor 2:4-5). 2 Tim 2:15-16 Study to shew thyself approved unto God, a workman that needeth not to be ashamed, rightly dividing the word of truth. We all must diligently labor in the Word of God, and our acceptance by Christ is obtained once we can truly hear, understand and then obey His teachings. The miracle of the true infilling of the Holy Spirit is realized by all who can discern the Gospel truth as individuals, who then become a unified part of the body of Christ.